Size: approx. 5 mm. Photo: 08/13/15, 9 pm. 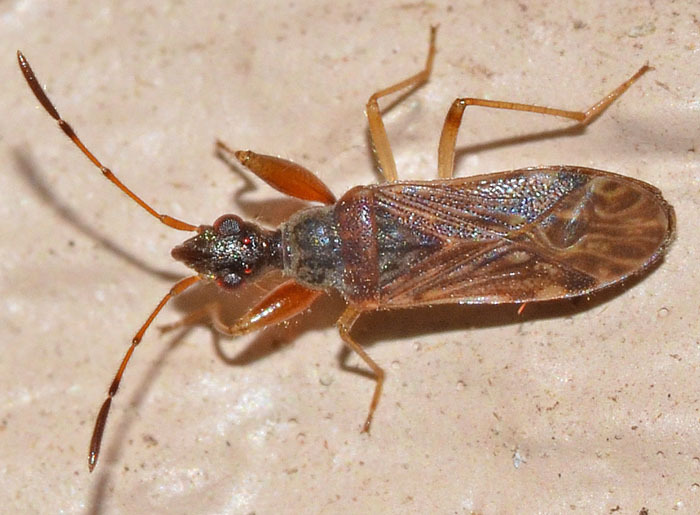 This dirt-colored seed bug was attracted by the lights of our patio lamps. The head is dull blackish rather than polished and the eyes are placed about midway along the head margin. The genus has five species in North America. It seems that this little guy lost one of its legs.